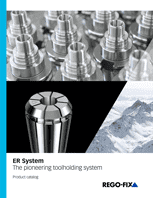 Designed for rotating applications, all our HSK toolholders are suited for high-speed applications where consistent performance is key. Designed for rotating applications, all our ER HSK colletholders are suited for high-speed applications where consistent performance is key. 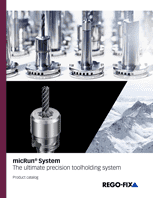 Designed for rotating applications, all our MR HSK colletholders are suited for high-speed applications where consistent performance is key. Designed for rotating applications, all our PG HSK colletholders are suited for high-speed applications where consistent performance is key. Achieve 100 % pullout protection thanks to our form-fit secuRgrip holders. Thread-cutting solution for direct thread cutting.